Prakruti Prativadi has danced Bharatanatyam since she was a child. She was initiated and trained in Bharatanatyam by Guru Smt. Charu Narasimhan and she also learned under Guru (Padmabhushan) Smt. Kalanidhi Narayanan. Prakruti is trained in the Dhandayudhapani Pillai style of Bharatanatyam. (Padmashri) Sri K. N. Dhandayudhapani Pillai, one of the greatest Natyacharyas of the 20th century, is the Guru of Prakruti’s Guru. Prakruti is the founder director of Kala Saurabhi Dance School in the US and she actively performs in the US and in India. Prakruti is also trained in Carnatic music and is fluent in Sanskrit, Tamil and Kannada. She has spent seven years researching Sanskrit texts and other ancient treatises on Indian art and aesthetics. 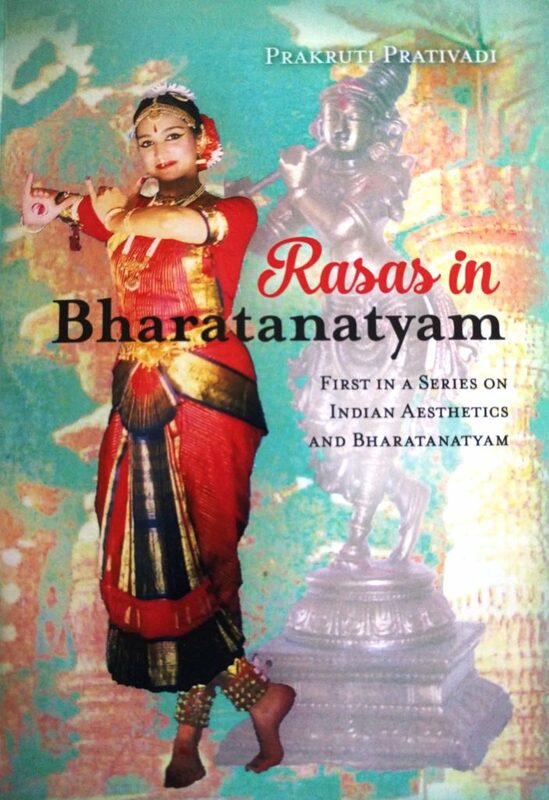 She has written a book based on her research, Rasas in Bharatanatyam, available at amazon.com. Smt. Prakruti Prativadi is also an aerospace engineer, working in the industry and has worked on NASA projects. The blessings of Mother Saraswati are upon her. Her brilliant new book ‘Rasas in Bharatanatyam‘, the first in a series, is likely to be an influential work, and we will be discussing it in this space going forward. We express our gratitude to Smt. Prakruti Prativadi and her gurus for their seva to dharma, and are privileged to share her insightful thoughts on Indic Art, Aesthetics, and Culture. You can read her introductory article at TCP here.